The much anticipated MAPA Regional Toolkit has been released! The Mid-Atlantic PACE Alliance, or MAPA, is comprised of state agencies, non-profit institutions, and private businesses working to accelerate the development and utilization of C-PACE in Virginia, Maryland, and DC. 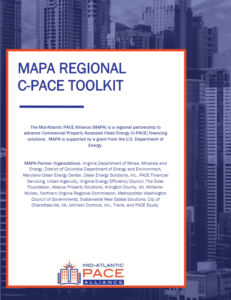 As part of their objective to accelerate the development and utilization of C-PACE programs within the tri-state area, MAPA developed a regional toolkit with feedback and input from C-PACE experts across the country. The toolkit is a resource for stakeholders, including but not limited to local governments, program administrators, building owners, contractors, capital providers, and local lenders, providing best practices specific to this region. For localities, the provided guidance and resources streamline efforts to develop and launch a C-PACE program. 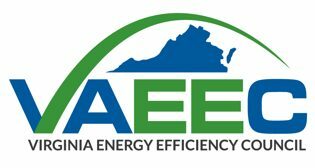 With C-PACE still relatively new in Virginia, there is still a need for materials that will help stakeholders better understand the benefits of the program. Therefore, along with program guidance for interested localities, the toolkit also includes marketing information and resources. These materials help educate stakeholders in an effort to build support for and to promote C-PACE. 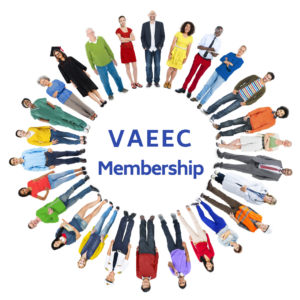 As many of you know, the VAEEC has been carrying out outreach and education to Virginia localities for just shy of two years now. We have encountered countless city and county staff and representatives who have been anticipating the release of this toolkit. With a section completely devoted to setting up a program in Virginia, we believe this toolkit will prove itself to be a vital resource to getting additional C-PACE programs up and running throughout the Commonwealth. We welcome the opportunity to meet with any stakeholder interested in C-PACE. Contact Jessica Greene (jessica@vaeec.org) if you have any questions, or if you would like to schedule a meeting or call.